Oscar, one of the men profiled in the documentary Scrappers. It’s a wonderful film. I had the good fortune to invite the filmmakers (Brian Ashby, Ben Kolak, and Courtney Prokopas) to screen and discuss the film at one of my Roosevelt University seminars, and they also screened it at a benefit for the Chicago Recycling Coalition in the summer of 2011. Other opportunities to see the film depended upon either purchasing DVDs directly from the filmmakers or being in a town where they had scheduled a screening, as it did not have a distributor. This week, the film is accessible to a wider audience. Scrappers has been released for digital rent or purchase on iTunes and Amazon Instant. 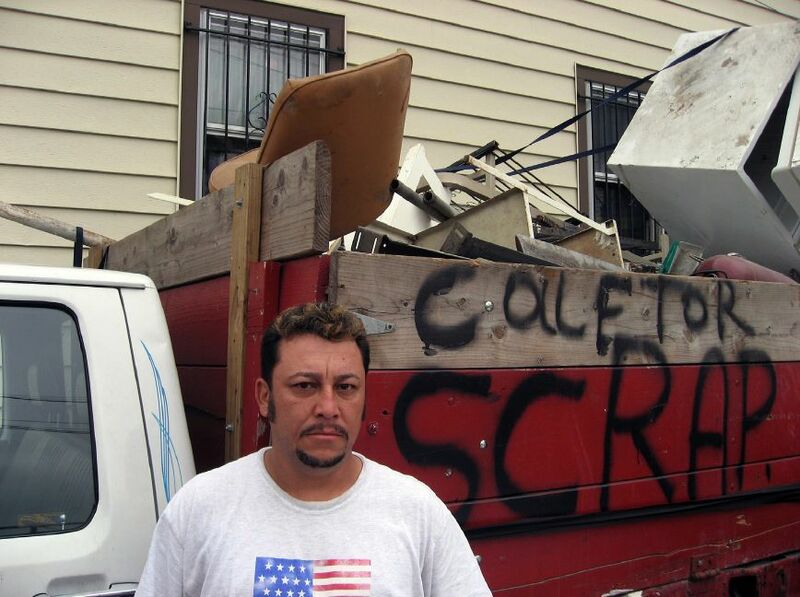 A handful of documentaries about waste-trade work around the world are worth seeking out (among them Waste Land and The Gleaners), but Scrappers is as good a depiction of how scrap markets in the United States work as I have seen in a film. It deserves a larger audience, and I am glad that more people now have the opportunity to see it. This entry was posted in recycling on November 28, 2012 by Carl Zimring.